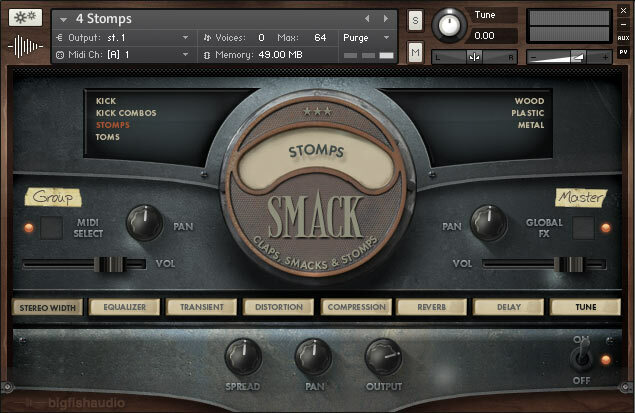 SMACK - Bass Drums, Toms, Stomps Small, Stomps Large, Claps Single, Claps Small Group, Claps Large group, Snaps Single, Snaps Small Group, and Snaps Large Group. Claps & Snaps Natural - Claps Natural Single, Claps Natural Group, Snaps Natural Single, and Snaps Natural Group. Claps & Snaps Electronic - Claps Electronic and Snaps Electronic. Stomps - Kick, Kick Combos, Stomps, Toms, Wood, Plastic, and Metal. Combos - Combo 1, Combo 2, Combo 3, Combo 4, Combo 5, Combo 6, and Combo 7. 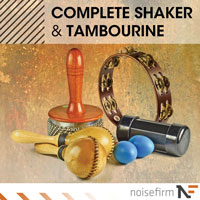 Shakers & Tambourines - Shaker Collection, Glass Metal Gravel, Tambourine RR, Shaker RR, and Tambourine Collection. 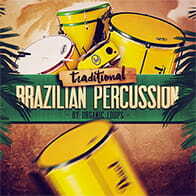 Found Percussion - Low Percussion, Industrial Percussion, Household Percussion, Kitchen Percussion, Loose Percussion, and Ticks. For a closer look at SMACK you can check out a brief walkthrough video below. Choose from any of the 8 included FX including Stereo Width, EQ, Transient Master, Distortion, Compression, Convolution Reverb (with hand picked IR's), Delay, and Tune. Mac: Intel Core Duo, 2GB of RAM, and OS 10.7.x or later. For optimum performance, Big Fish Audio recommends a 2.0GHz processor or faster. The library requires 750MB of free hard drive space. Windows; Windows 7 or Windows 8 (latest Service Pac, 32/64 Bit) Intel Core Duo or AMD Athlon 64, and 2GB of RAM. For optimum performance, Big Fish Audio recommends a 2.0GHz processor or faster. The library requires 750MB of free hard drive space. 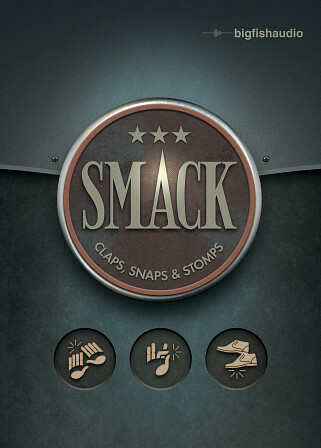 The Following End User License Agreement is included with SMACK: Claps, Snaps & Stomps. This License is only valid for the individual who has purchased an unopened, new and lawfully made copy of SMACK: Claps, Snaps & Stomps from a dealer or distributor authorized by Big Fish Audio. 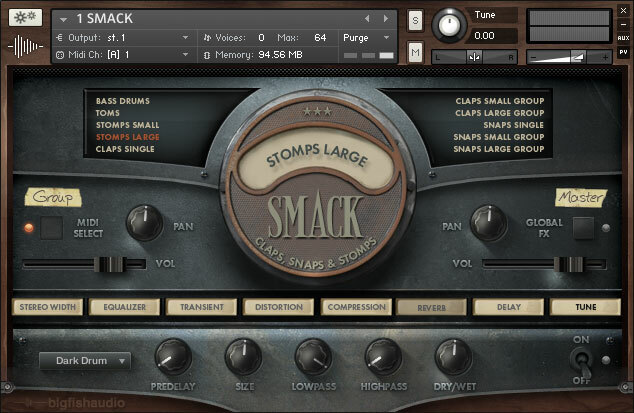 If you need quick access to high quality percussion like kicks, stomps, claps, snaps, shakers, tambourines or even found sound percussive samples, you may want to check out “SMACK” from Big Fish Audio.